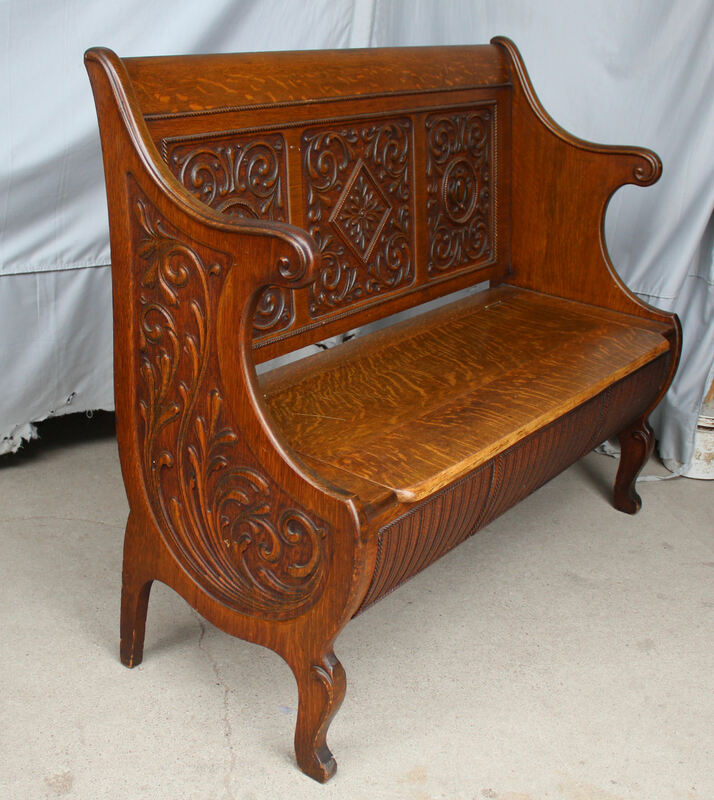 Beautiful Antique Carved Oak Bench – orignal finish. Lift seat. Measures 39″ width, 18″ Depth and 31″ Height. Circa 1900.